Taking my diabetic life a step further, I eventually left uni and headed into the grown up woirld of employment. My first three years were as part of a large graduate intake, for whom it was very much a continuation of the university years, and involved house sharing, drinking too much spending time with friends and generally enjoying life. I’d moved down to the wilds of Farnborough in Hampshire and the GP had referred me to Frimley hospital for my Diabetic clinic. I wasn’t sure how good it was, but then neither did I really care. I’d turn up to a clinic without an Hba1C done so I didn’t get reprimanded in the clinic, get it done at the Phlebotomy lab immediately afterwards and then be surprised when the GP told me it was 7.2%. I knew I wasn’t behaving myself diabetically. Out of control isn’t the term I’d use. I insulated, but I also ate and drank. Again, there was no DKA and no assisted hypos. While I might have been roller-coastering, it wasn’t to the extent that was seeing me needing to interact on a large scale with the medical profession which suited me fine. I travelled a lot in my job, mostly driving or flying around the UK, and then I spent a year working in Amsterdam on an ex-pat package. This was the first time I had to encounter acquiring insulin when out of the country and fortunately it was reimbursable. 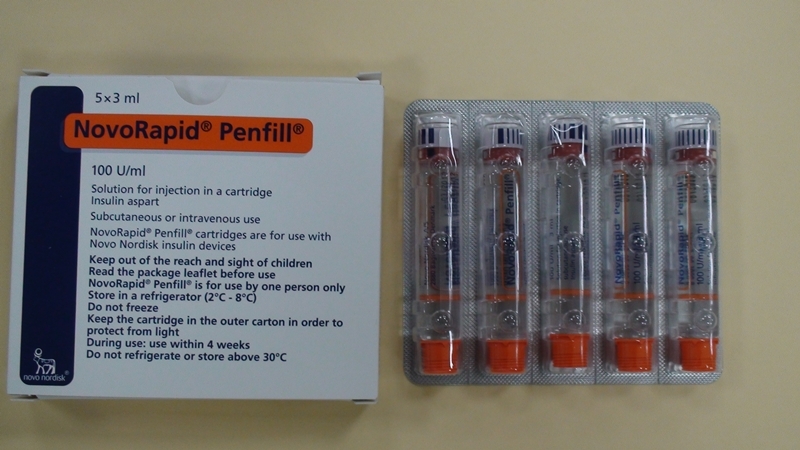 I had to pay out around £100 for a GP appointment and then a further £55 for the insulin – and this was only five cartridges of Actrapid Penfill. It helped me realise just how expensive this stuff was to buy. 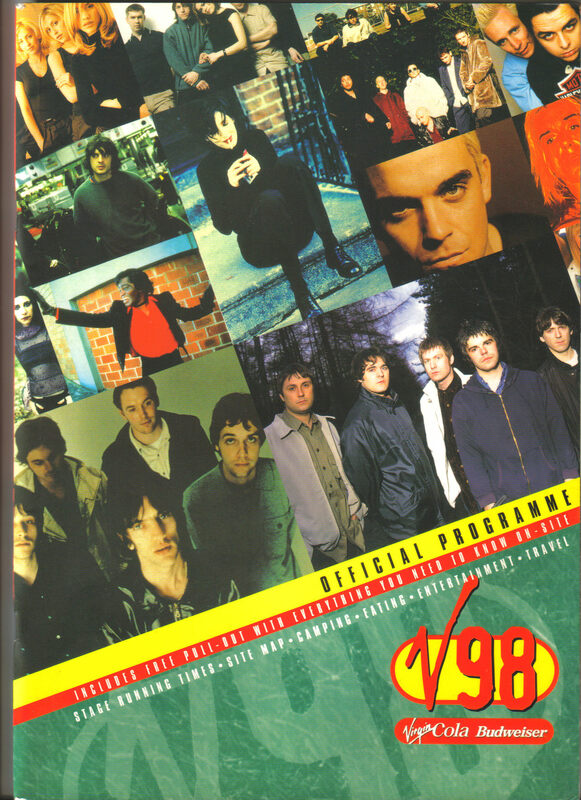 It was during this period that I first attended a festival (having been to hundreds of gigs at Uni), going to V98 in Chelmsford, and then V99 the following year. A few great occasions, not marred by having to take my Diabetes with me. And I think that possibly sums it up – I always just took my diabetes with me. On my return to the UK, late in the millennium, I remained with Frimley. Again, I don’t recall anything major in my diabetes life. I just got on with it. I think I was testing a little bit more by this point, but probably not enough. My Friday night would often invlove too much beer, followed by a trip to Pizza express and then waking up the next morning hungover. Based on what I know now, I’d be surprised if I ever awoke on those Saturdays with a bg level remotely below 10 mmol/l. And yet I still did my insulin and still carb counted in a rudimentary fashion. Whilst in my period at Frimley, the newly developed Novorapid became available, and it was recommended that I change. Thus, I did. Novorapid came with promises of injecting just before eating instead of half an hour before and providing a much more rapid reaction. As it happened, while it was faster than Actrapid, it wasn’t as quick as everyone made out. I had to wait a further 15 years to discover this. Alongside Novorapid came the 3ml Novopen, which felt a lot larger than the older ones I was used to. At least the insulin lasted longer, and it came in a bunch of Funky colours, to jazz up your injection experience! Apparently the larger size made it easier for people with hand problems to hold. Over the next few years, I moved up to London and once again changed clinic, moving to St Georges at Tooting. During this period I’d say I was an adequately controlled diabetic, but perhaps not a very well controlled one. As long as my Hba1C was in the 7% range, I was happy. I would manage myself and keep an eye on things. I knew to check my feet and make sure there were no issues there, and to keep an eye on various things. As long as everything worked, I didn’t care too much. In 1999, 2000 and 2001 I embarked on some proper long holidays, taking time out to travel around the Greek Islands in the middle of summer, California and North West Mexico and Bangkok and Australia. Each of these excursions took a month and on all of them I carried on with what I was doing. Testing some, always doing insulin and trying to maintain a balance. For the long, hotter trips, I ended up purchasing a trusty Thermos flask and carrying all my insulin in that, with chilled water in it if necessary. It proved to be a welcome travelling companion, although ahead of the trip to Australia I managed to leave all my insulin in the fridge. One of my housemates had to meet me on the train where I had stopped on the way to hand it over to me. It was on my trip to Australia that I experienced the devastation of food poisoning for the first time. Stopping in Bangkok on the way to meet some friends, I ate something that properly disagreed with me. I just about made it back to the “hotel”, where I endured three days of being unable to hold anything down or in. I survived on Coca Cola. When I was first ill, I had insulin on board and with no rice or any other food staying down, I was really struggling. That was probably the first time that I appreciated just how easy it would be to kill myself by accident with the life saving drug in my hands. On the other hand, after the three days of hell, it actually ended up being a great holiday, and with the amount of activity I undertook and the one where I was most ill, one on which I probably tested more than I ever had. In 2002 I moved from the Hampshire area to London, and yet another Diabetic clinic. This time I was under the care of the Thomas Addison unit at St George’s. It was during this time that I was diagnosed with Hypertension, much like my father had been. For a short period I was under the “care” of one Professor Macgregor, who has since moved from the NHS and can be found at the Wolfson Institute where he is Professor of Cardiovascular Medicine. My abiding memory of Professor Macgregor was his view about the lack of joined up-ness of the patient records within the single hospital and his appearing to completely lack knowledge or understanding of T1 Diabetes. As a reasonably intelligent patient, to have him say to me that blood glucose levels were unimportant and that blood pressure needed far more control, flabbergasted me. I still wonder how many others had received this crazy advice from him. I’m sure that in his realm he is widely regarded, but to be told that I didn’t need to care about my blood glucose levels was the first time the medical profession truly managed to shock me. My time with St Georges was a case of turning up for appointments, being seen, feeling that I was seeing somebody that didn’t really know about diabetes and moving on. The two notable items I remember were being moved on to Lantus off Insulatard, with the promise of more stable levels, and being offered both DAFNE and the BDEC online course. At the time, I couldn’t take the five days off to do DAFNE, so I opted for BDEC. It helped me improve my carb counting, but was hardly revolutionary given my introduction to Diabetes 15 years earlier. On one occasion, I distinctly remember speaking with a registrar doing her rotation and asking her what she enjoyed. it turned out that Endocrinology wasn’t one of the things and that she couldn’t wait to get out. There was little information on new technology or therapies and with the huge and increasing numbers of T2s, I felt that the focus of the clinic really wasn’t with me or T1D. The more I look back at it, the more I realise that I felt disenfranchised about the whole thing. I remained with St George’s until 2011, during which I missed an appointment due to work issues and was struck off their register. Not that I was overly bothered. For the next three years, I spent the time under the local GP’s diabetic care. I was getting on with managing myself and adjusting things accordingly. In the interim period, interspersed with various trips abroad, I look back and realise that for a long time, I wouldn’t really let people into my life on a really close level. I had one or two very close friends, but meeting people and from a relationship status, I found it quite difficult. I had a couple of “long term” relationships, and these mostly lasted less than a year. One was with someone who asked to be injected with insulin to experience a hypo, which I was reluctant to do. This was quite a major step for her, but not something that I would countenance or force upon anyone. I had put up Iron gates and didn’t want anyone coming inside them. I was alright, jack, and I didn’t want anyone else to have to be bothered. It can make it difficult to have a relationship in that kind of position. Not wanting to spend my life always on my own, I started dating, and eventually met someone with whom I have shared my life for the past 12 years. The key thing I learned with her was that I wanted to open up and let her in. I’m not going to pretend it was easy. It wasn’t. But it’s the not being judged about the condition and helping her to understand that becomes important. It’s the actual opening up and properly letting them in that’s the hardest thing in the world. But when you can do that, it’s very rewarding. In roughly 2007 I was having a regular eye check and the optician noticed “something” and had a little bit of a panic, rushing me off to Moorfields as an emergency case. After waiting for a couple of hours, it transpired that I was showing up background retinopathy, which after 20 years a T1 was really not that much of a surprise, and as the doctor said, it was background and it wasn’t particularly bad. At this point in time, I was using Lantus and Novorapid, and I’d have said that my blood glucose levels were reasonably good. I was exercising regularly and having reached my thirties, wasn’t quite as reckless with my life as I had been. I tested a few times a day and I tried to keep on top of everything. My Hba1C wasn’t significantly worse than it had been, so it had to be my balance. It was also a bit of a wake up call, like it is for many of us, that I needed to pay more attention to myself. Which I did. And over the next 18 months, I managed to put it into remission and got back to a clean bill of eye health. During this period, I noted a lot of control issues. My overnight glucose levels were unpredictable and I’d wake up low or high, seemingly randomly. I tried to tie it to food, to exercise, to pretty much anything, but there just wasn’t a pattern. I had a couple of severe hypos. The first occurred some time in early 2007 when I didn’t wake up one morning. My partner tried to wake me and I was abusive and unpleasant. I don’t know what I said. I’ve no doubt it was horrible. I was physically difficult. She had to call out an Ambulance to assist and I was shot with Glucagon. It brought me around, but she has been anxious about me having hypos ever since. The second occurred on a stressful day when we had both of our families meeting for the first time. I ended up sitting down, closing my eyes and just going quiet. Again, the ambulance was called, and I’m not sure what they did to bring me out. I don’t recall the sick feeling that you get from Glucagon though. 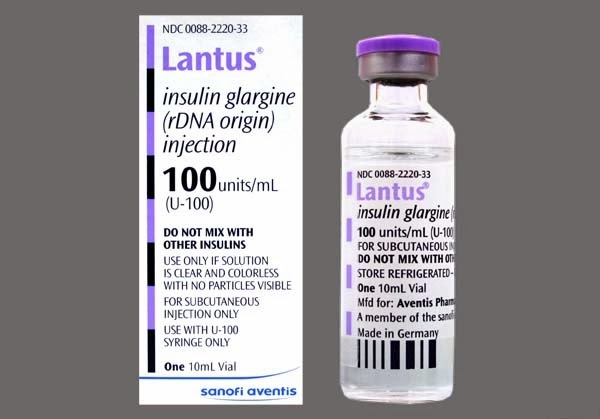 As a result, I used to eat carbs before bed and I moved to splitting Lantus into twice daily injections. I’d also realised that it didn’t last the 24 hours as advertised and had lots of fun managing cycling to work in the mornings, which on occasion would result in a massive low half an hour after arriving in the office. Luckily I always caught these, but I’d be lying if I said I’d enjoyed them. Managing this variation in glucose levels meant I ate a lot more Dextrosols than I perhaps needed and contributed to my gaining weight. This all seemed par for the course though. I was just having some control issues. They would iron themselves out, wouldn’t they. It didn’t occur to me to seek a major overhaul from the Diabetic clinic. I looked at CGM systems as I was really desperate to get more insight into how my levels moved and what velocity they had. I’d rapidly come to the conclusion with the cycling that spot finger prick tests were pretty much useless. They provided a map, without a compass. I needed a lot more… But the pricing. Oh the pricing. Far too expensive. It was around this time that I joined up to the diabetes.co.uk forum and started to read about the experiences of others. 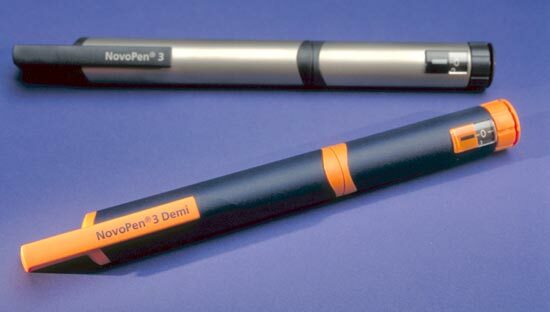 It’s crazy to think that between 1988 and 2010, I had met almost no other T1 diabetics. I knew my cousin, a distant relative and my friend’s wife. That was it. I’d hardly really involved myself in the diabetic community and just got on with life. I knew about me, I managed me and I got on okay. I didn’t seek anyone else. It didn’t seem important, and as far as I could see, there weren’t many people out there to speak to. I might have been a member of a fairly exclusive club, but I didn’t know who the other members were.